That's what I went with, I think it will solve your stator problems particularly with those LED lights. I sure hope so. Glad it worked for you. Dr. Gallup, where did you mount your regulator? Was it able to fit in the stock location? I ordered a universal bracket just in case. But admittedly, I'm not that talented when it comes to improvisation and fabricating stuff. Compufire 55402 RR (the original one not the Chinese copies) mounted in stock position. 3 stator output wires connected via strip connector to 3 input wires of RR. Can also be soldered. Both methods for a problem free connection. 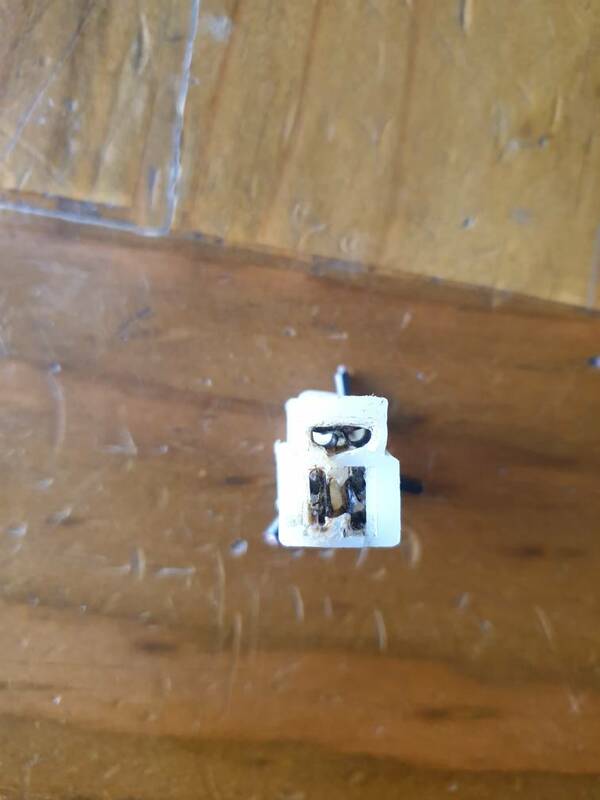 Stock 3 pin plug burns out. Positive output from RR connected directly (via 40 amp fuse) to battery positive. Wire gauge same as RR wire gauge. Negative output from RR connected directly to earth connector on rear of engine crankcase. Wire gauge same as RR wire gauge. All the above problem free for the last 3/4 years. Last year added a lithium ferrophosphate battery and a couple months ago a pair of LED headlight bulbs. Last edited by Avi8or; 04-04-2019 at 12:21 PM. I was able to use one of the stock holes and I think I just zip tied the other to the frame. 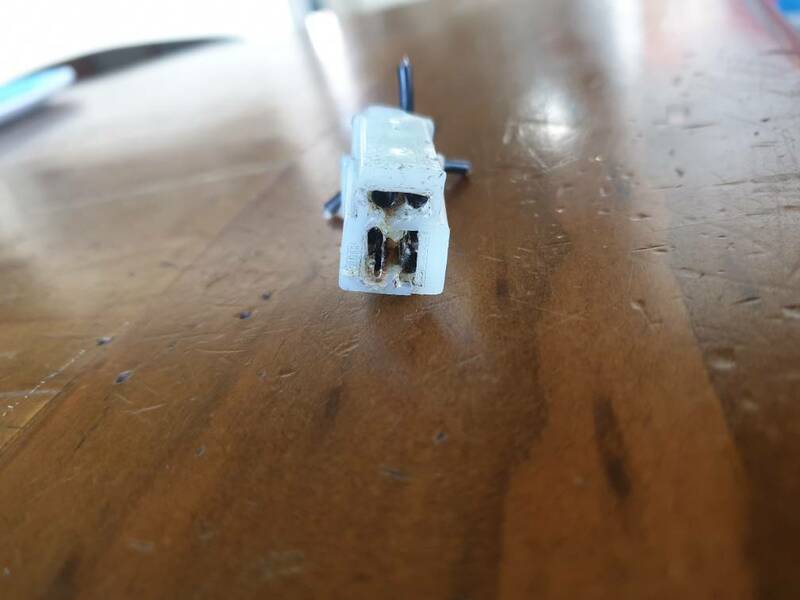 The 3 way connector plug that comes out from the stator... What amperage should it or a replacement be rated to? Sorry Santa. I don't know the amperage, but if you can, you'd be better off hard wiring everything together. You can wire directly to the battery as well and use a fused link.